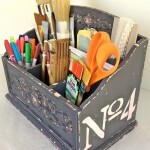 The paints mentioned in this post were provided to me by DecoArt. All opinions and projects created – as always – are 100% my own! 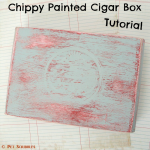 I recently shared my Chippy Paint Cigar Box Tutorial over on Deja Vue Designs where I’m the Creative Contributor. 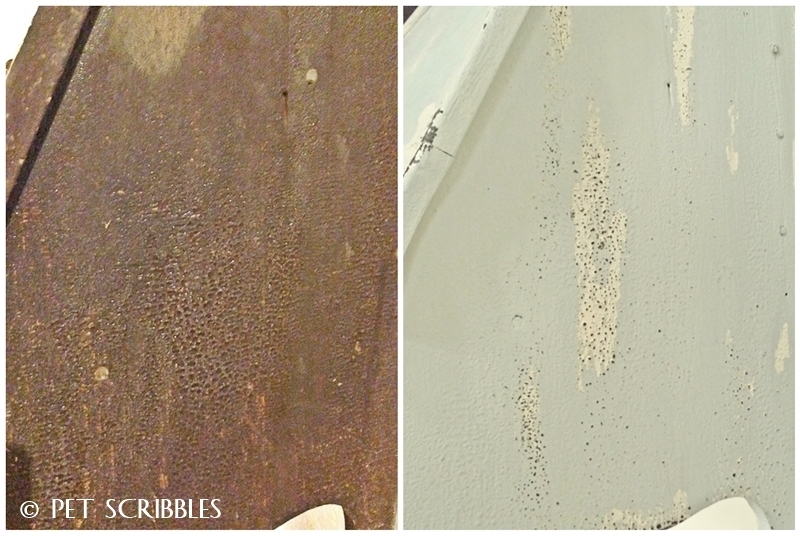 The chippy paint effect was done using candle wax as the paint resist. 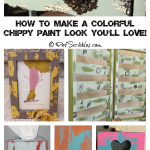 But that’s only one of many ways you can achieve the popular chippy paint look. 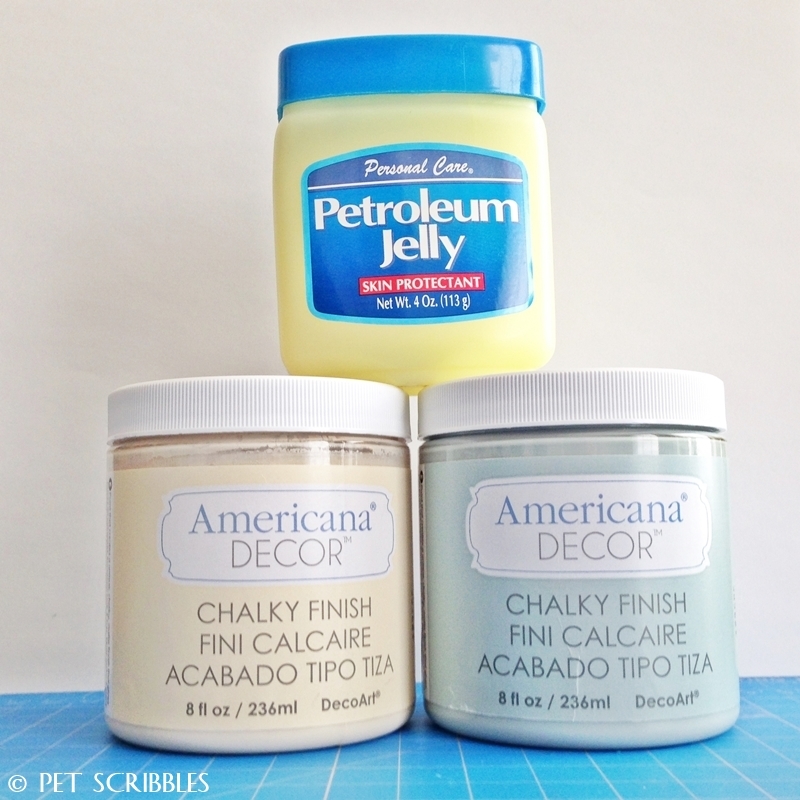 Another way is using petroleum jelly. 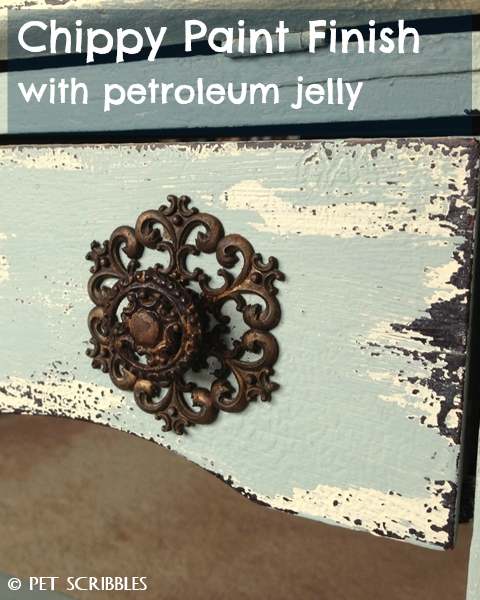 Yes, there’s so many uses for petroleum jelly and now you can add distressing painted furniture to its list of attributes! 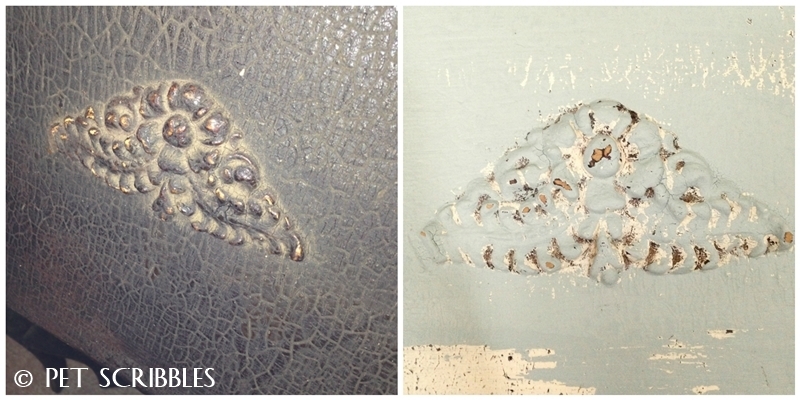 I love shopping for antique and vintage furniture, especially pieces that are in sad shape and need lots of love. Last Fall, at an awesome antiques store just south of us, this antique secretary desk cried out to me for help. 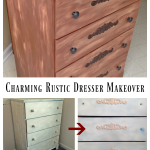 I instantly knew this would be my first Chalky Finish paint makeover on a large scale! 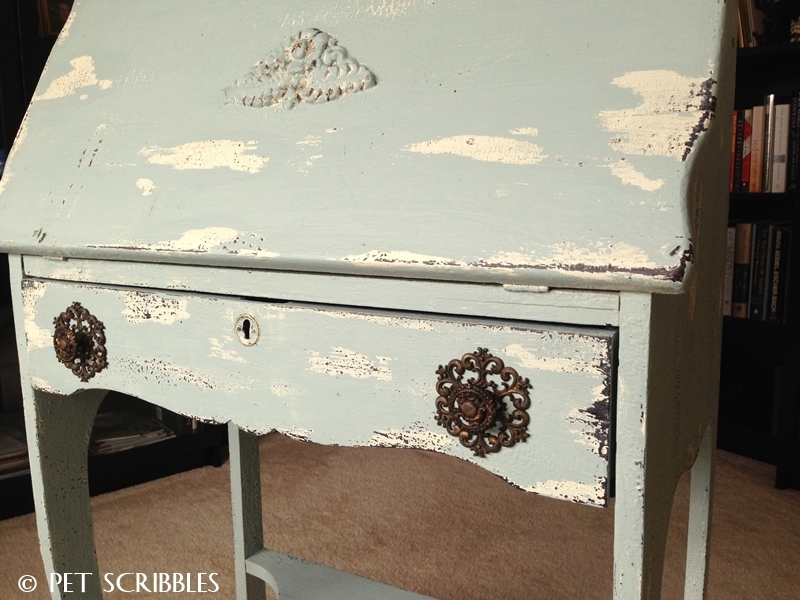 My Chippy Paint Antique Secretary Desk! 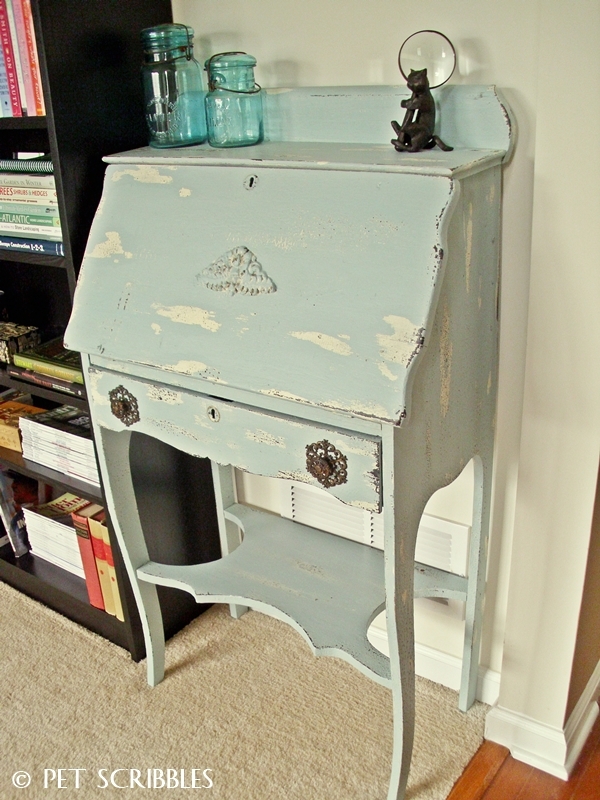 The desk is early 1900s, and I could see the beautiful lines beyond its sad outward appearance. The vendor just thought I was crazy, I think because I was passing up similar antiques in much better condition. I mean, just look at how bad this piece was. There were layers of paint and other things that I’m not sure I even want to know about! The main supplies needed for this are Americana Decor Chalky Finish paints and a small tub of petroleum jelly. Petroleum jelly acts as a resist, so any paint that is applied over the petroleum jelly will not adhere to the frame, thus showing off the base color(s) instead. 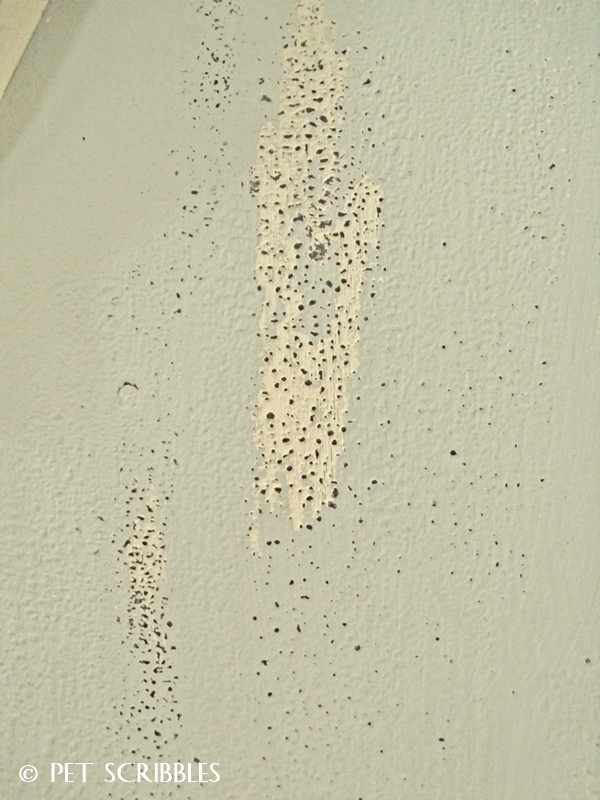 This gives you the time-worn, chippy paint finish. NOTE: The antique secretary desk was already painted black. If you want the same look, paint your desk in Carbon Chalky Finish (ADC29) before proceeding. Step One: With your finger, spread petroleum jelly over areas you’d like the base color (Carbon) to show through. Step Two: Using a 2” chip brush, and the 1” chip brush for the smaller areas, coat entire surface with Whisper. Let dry. 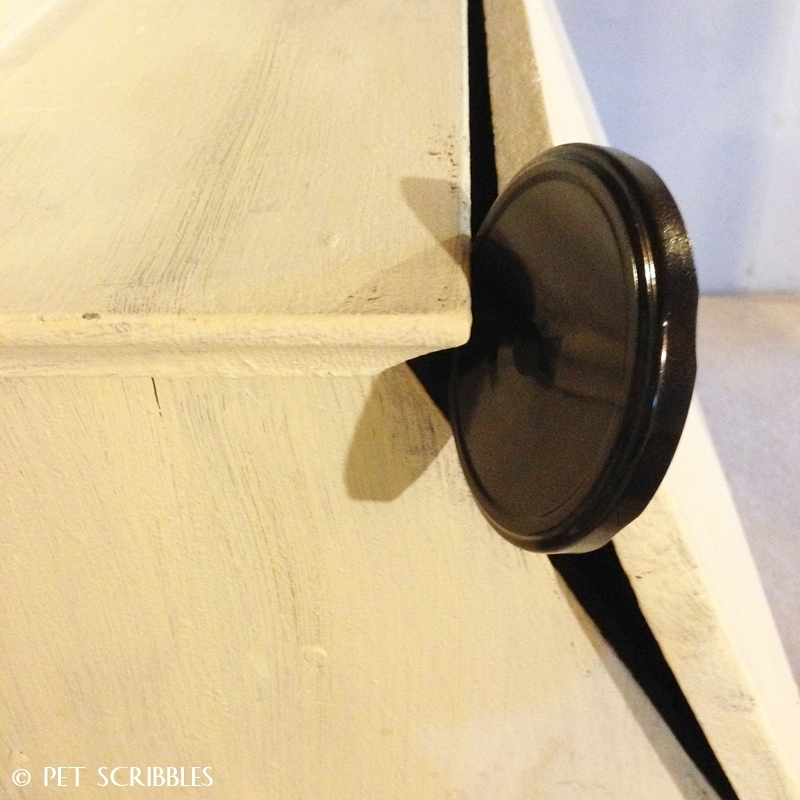 Jar lids come in handy when painting furniture and needing to prop something open. Step Three: Using a sanding block, gently rub and sand over areas where you placed petroleum jelly. (It will appear darker in these areas.) Wipe dust away with a white rag. Step Four: With your finger, spread petroleum jelly over areas you’d like the two base colors (Carbon and Whisper) to show through. 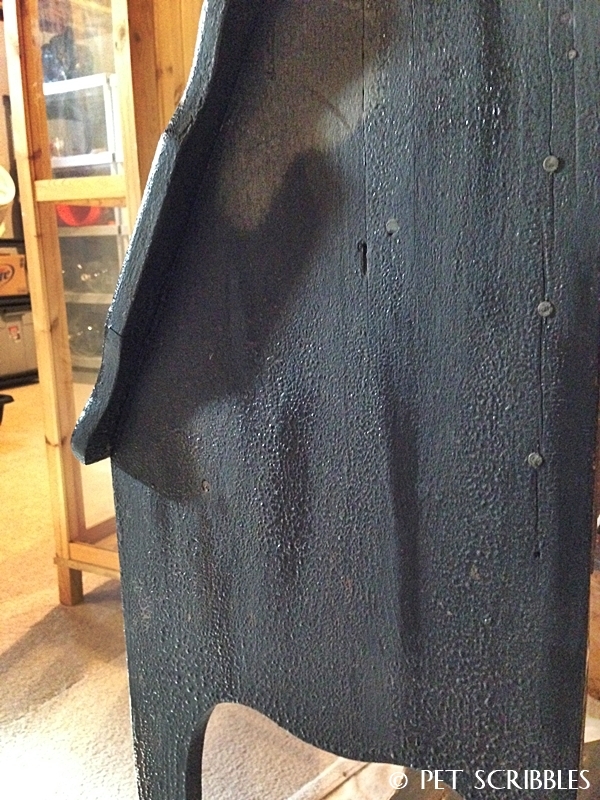 Step Five: Using the 2” chip brush, and a 1” chip brush for the smaller areas, coat entire surface with Vintage. Let dry. 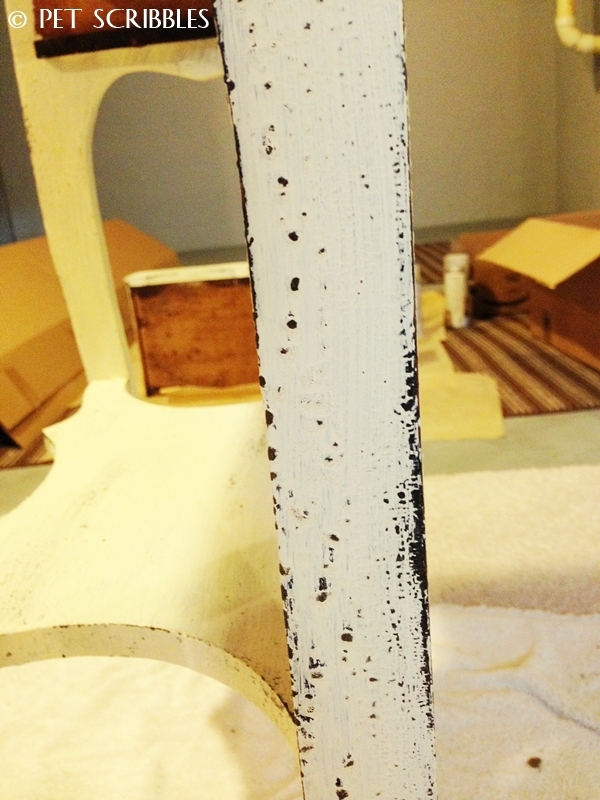 Step Six: Using the sanding block, gently rub and sand over areas where you placed petroleum jelly. (It will appear darker in these areas, as shown in the picture above.) Wipe dust away with a white rag. Step Seven: Using the waxing brush, apply Clear Wax over entire surface. Let wax dry and then buff gently with a soft white rag. This waxing brush makes applying the wax very easy. I love this brush! 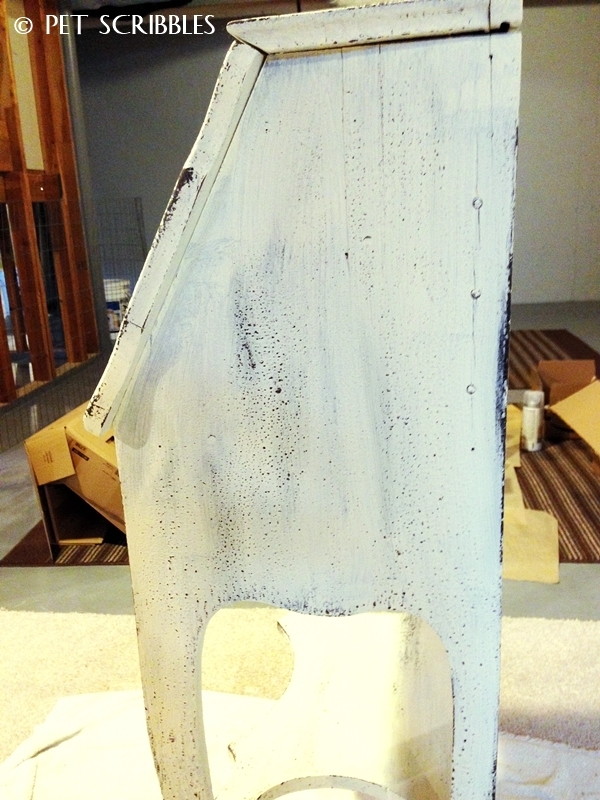 Let paint dry between coats. Don’t apply petroleum jelly too thin, but also don’t use large chunks of it. The ideal amount is somewhere in between. When painting over petroleum jelly, clean your brush often to avoid spreading petroleum jelly to other areas. DecoArt has several technique how-to videos that you can watch. Learn and get inspired! Paint can always be painted over! Don’t worry about mistakes. Enjoy the process! And as I mentioned earlier, this secretary desk fits perfectly in our library! We installed IKEA bookcases along two walls – yes, my husband and I are avid readers – and I wanted something to make the room feel less modern. The desk goes nicely with our unique taupe-brown wall color in our entryway (right). The brown-black shade of the modern bookcases is nicely toned down by the playful chippy painted finish of the antique desk. And with the original black color peeking through, it ties the different looks together! I breathed a huge sigh of relief when my husband brought the finished desk up from the basement and it fit with just a few inches to spare! 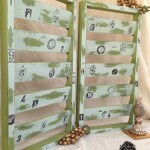 You can view the complete line of Chalky Finish paints on DecoArt’s website. And you can see and purchase these paints for yourself at Home Depot stores as well as HomeDepot.com! Stay tuned, because I’m just beginning to redo our kitchen table and chairs using the Chalky Finish paints, and I can’t wait for you to see! Wow! What a beautiful desk, Laura! I can see why you fell in love with it right in the store. 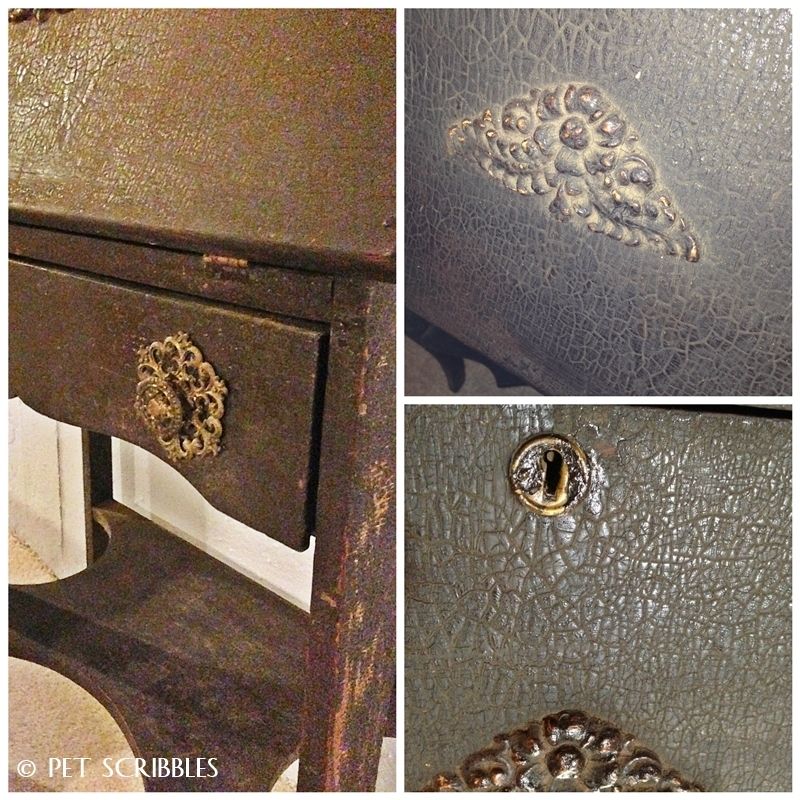 Look at the ornate filigree work around the drawer pulls! I am SO glad that you didn’t paint over them, because they look stunning against the background of the light-colored paint. 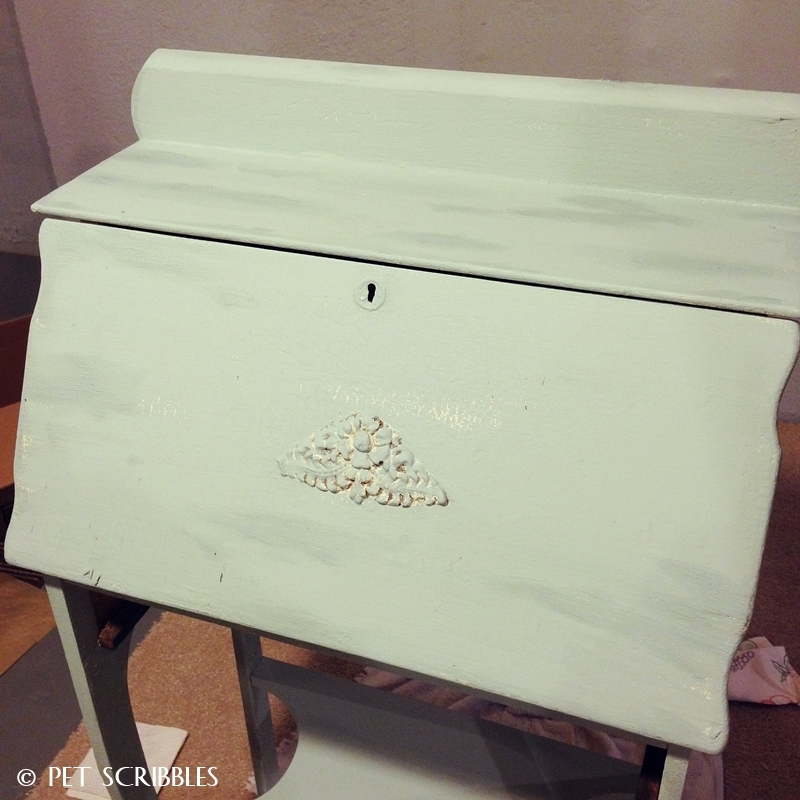 Despite its original sad-looking appearance, the desk looks as if it is actually in very good condition for its age. 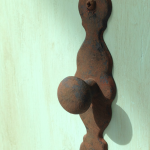 What fun you must have had as you worked on it and began to appreciate its fine lines (and curves – hehe!). It looks just perfect all dressed up in its new home, where it will be much loved.♥ Congratulations, Laura! Laura this desk is a masterpiece! Seriously thanks for this– I am going to do a project myself and use your technique! Really stunning! Very cool! I love the effect! Thanks Jacque! It was fun to do! 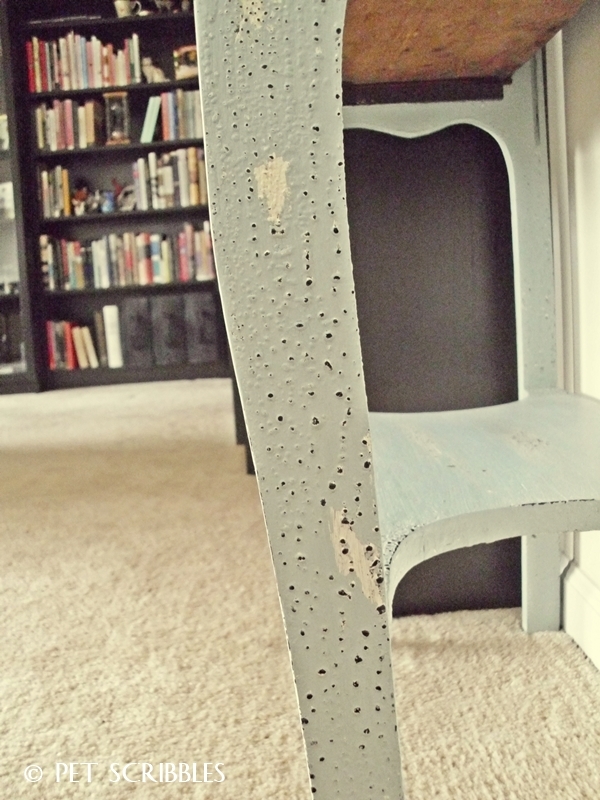 I love the finish on that … such a great natural distressed look! Laura, GREAT job!! Love it. Kinda want to steal it. Beautiful makeover, Laura! And great tips, too. 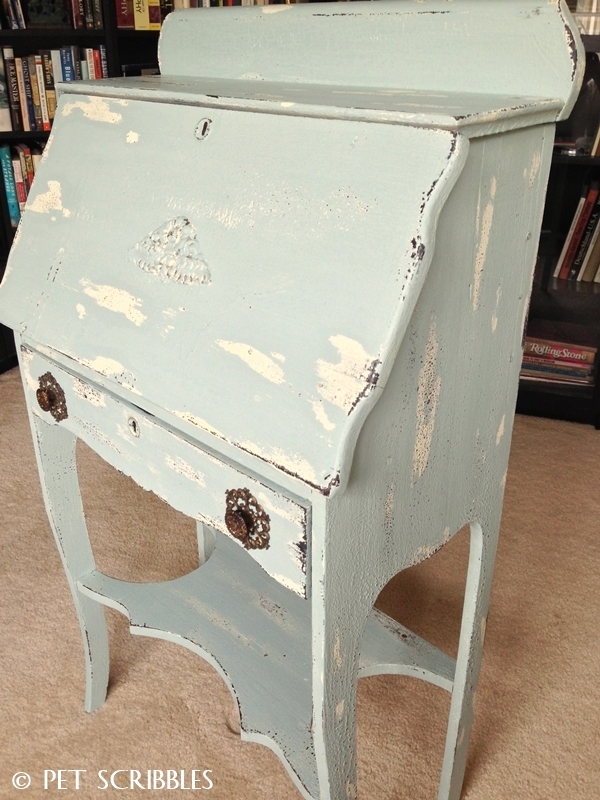 I’m itching to try out some Chalky Finish! Did you wash the desk first? It looked like it needed cleaned. Thanks for your question Margaret! I wiped the desk down with a damp white cloth to remove dust and surface stains. The “before” pictures were taken after the desk was wiped down. It was in really bad condition, to say the least! Gorgeous! 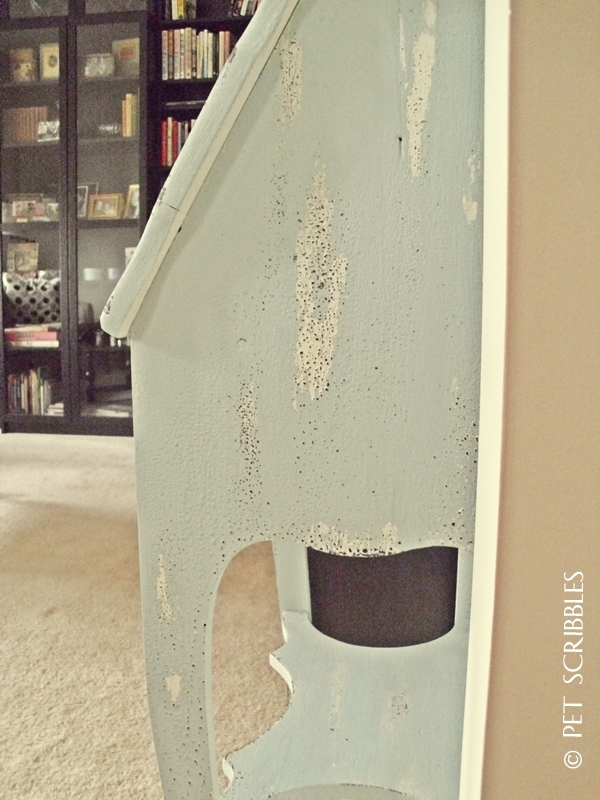 I love the distressed finish and the colors you used! What an amazing save! 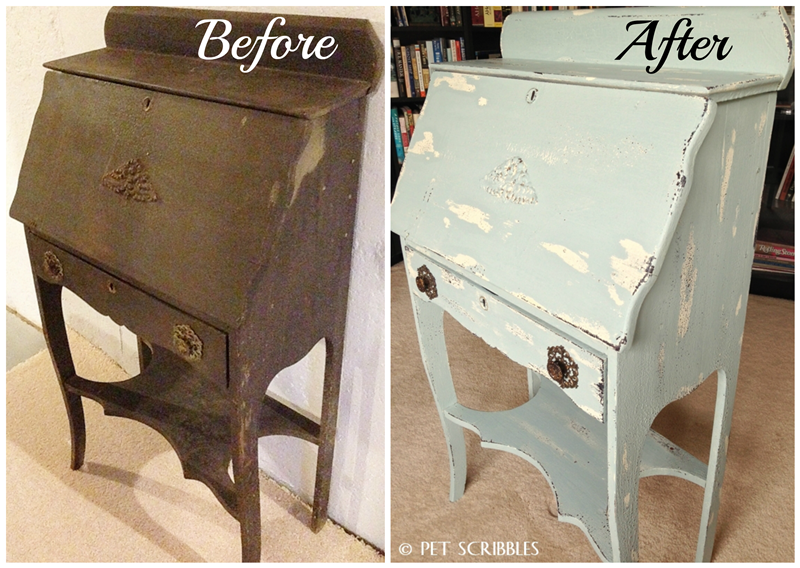 This tired old desk had such great bones and you turned it into something beautiful again. Love the color and the tutorial. Thanks so much for sharing at Vintage Inspiration Party.